Adeosun spoke at a press conference marking the conclusion of the 2017 World Bank/International Monetary Fund Annual Meetings in Washington DC, United States. 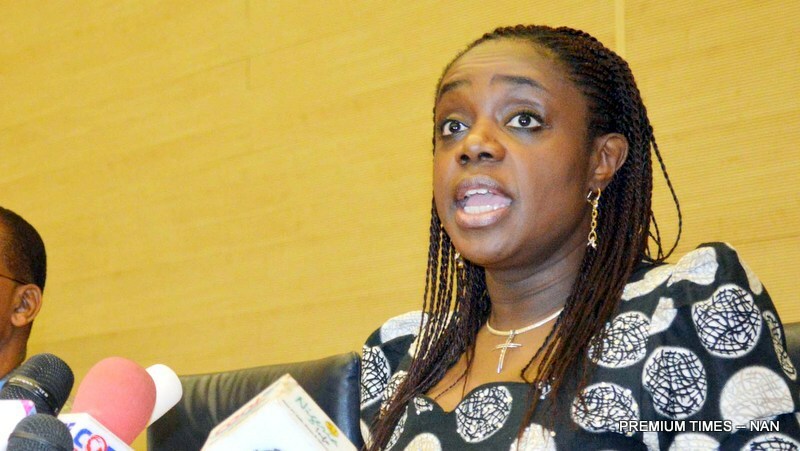 She said, “Nigeria’s debt-to-Gross Domestic Product ratio is one of the lowest actually. It is about 19 per cent. Most advanced countries have over 100 per cent. I am not saying we want to move to 100 per cent. But I’m saying we need to tolerate a little bit more debt in the short term to deliver roads, rail, and power. She added, “What I will assure you is that this government is very prudent around debt. We don’t borrow recklessly. We have no intention of bequeathing unserviceable debts to Nigerians. What we are simply trying to do is to ensure that we create enough headroom to invest in the capital projects that the country desperately needs. However, the minister said that the Ministry of Finance had rejected loan requests by some state governments to ensure the country had good debt sustainability figure. She also said the Federal Government had a strategic plan to reduce borrowing and this was why the government had embarked on various tax mobilisation initiatives including the Voluntary Assets and Income Declaration, which she noted was gaining traction. She also noted that plans were underway to get the National Assembly’s approval to refinance some of the naira debts into external borrowing. On why the country had to borrow, Adeosun said, “If we think back at the problem that we faced, it will be very important to put this in context. Our principal source of revenue plummeted by up to 85 per cent. So, we had two choices: You either reduce public services massively, which would have meant massive job losses or you borrow in the short term until you can begin to generate revenue. “As the All Progressives Congress (the ruling party), we felt laying off thousands of people was not the way to stimulate the economy. Also, when we came into office, about 27 state governments could not pay salaries. If we had allowed that situation to persist, we would have been in depression now.